Week 1 - 4: Omeprazole (AbPrazole™ or AbPrazole Plus™) - 2 x sachets, once per day x 28 days. 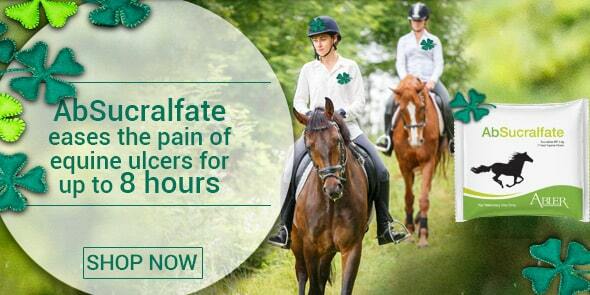 Sucralfate: Gradually reduce to 1 x sachet, at least once per day. Studies indicate omeprazole or sucralfate as a sole treatment is not an effective treatment. Its recommended both omeprazole and sucralfate* be administered to treat glandular ulcers, if bacteria has caused ulcers, antibiotic therapy maybe required for healing. Furthermore, it is recommended to find the cause of the glandular ulcer before continuing treatment long term. 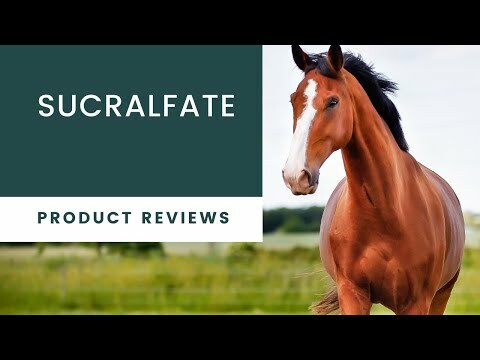 Ongoing: Sucralfate 1 x sachet, at least twice per day. 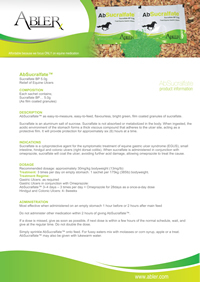 Administration: Sucralfate** should be administered 30-60 minutes apart from other medication including omeprazole (and any other medications). *First dose is most effective given in the morning when stomach is less likely to be as full.